The world's most versatile camera and the world's most popular smartphone lineup join forces thanks to the official GoPro app for iOS. 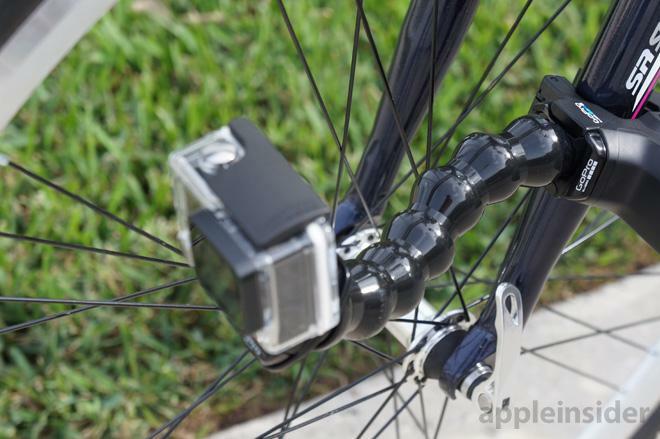 Built-in wireless connectivity, stunning picture quality and a stellar lineup of accessories make the GoPro Hero3+ camera an easy recommendation— one made only better by connecting it to an iPhone. 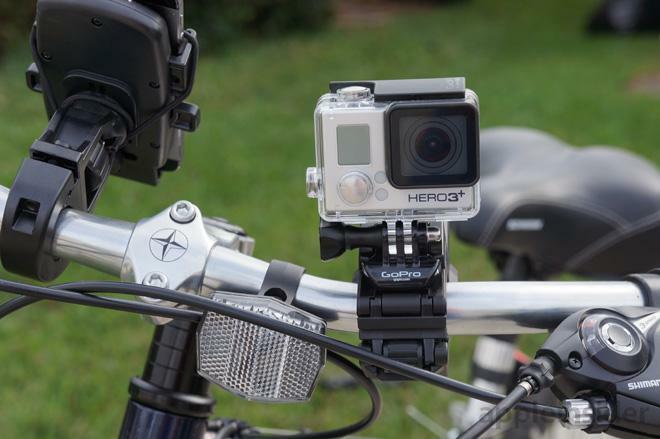 For this review, GoPro provided a $400 GoPro Hero3+ Black Edition, a 64-gigabyte Lexar microSDXC card, the Jaws Flex Clamp, a tripod mount, head mount, and visor clips. The Hero3+ Black Edition comes with a waterproof housing good up to a depth of 131 feet, a Wi-Fi remote control accessory, two quick release buckles, a curved and a flat adhesive mount, a three-way arm pivot, and a micro USB cable for syncing and charging. The camera itself has three buttons: One on top to capture, one on the front for power and settings, and one on the left side for controlling the built-in Wi-Fi functionality. 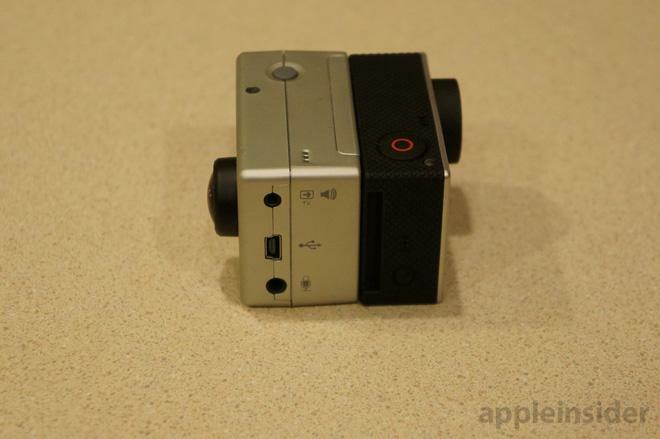 There are also dedicated mini HDMI, USB and microSD ports on the right side of the GoPro. Cards with capacities up to 64 gigabytes can be utilized. Two lights are on the front of the camera: a blue one to show that Wi-Fi is enabled, and a red one to show when the camera is recording. Above the lights is a small grayscale LCD display that allows for menu controls and shows the camera's current status and settings. Additional red recording indicator lights are also found on the top, back and bottom of the camera. In addition to the Wi-Fi control button, the left side of the device also has holes for mono sound recording. An optional USB adapter allows users to plug in a 3.5-millimeter microphone for more advanced stereo sound. Finally, the back of the Hero3+ has a quick-access battery door, and an expansion port that allows users to attach the the LCD Touch BacPac and Battery BacPac accessories. 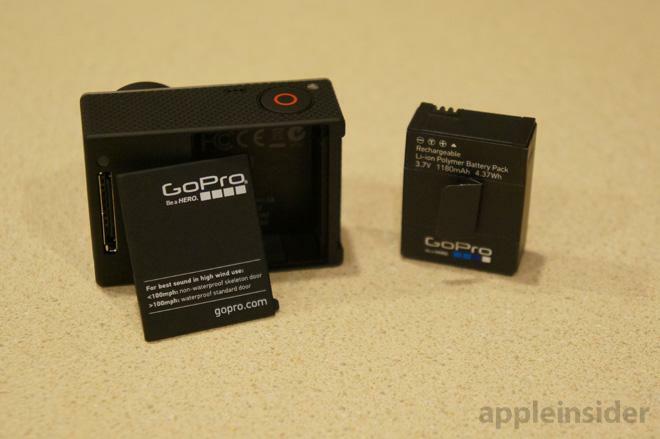 Without any attachments or accessories, the GoPro Hero3+ Black Edition weighs in at just 74 grams. The waterproof housing brings the weight up to 136 grams. The GoPro packs a lot into a tight space, and what's on the inside may be even more impressive. 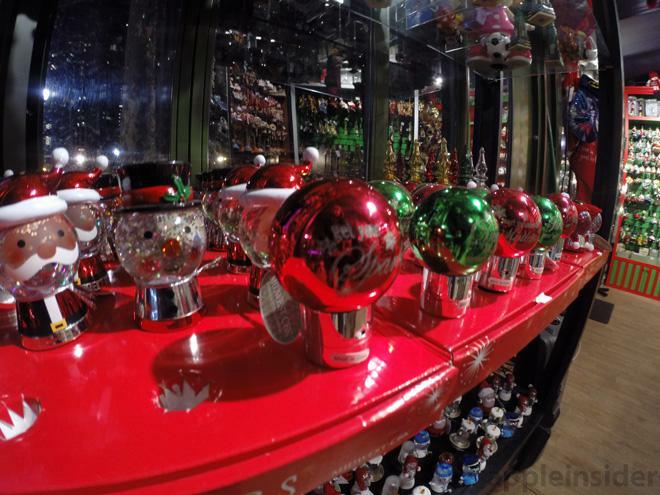 The GoPro Hero3+ Black Edition is capable of recording video in a wide range of resolutions and frame rates. At the high-end, it captures astonishing 4K video, but is limited to a maximum of 15 frames per second. Still, 2.7K video can be captured at 30 frames per second, while 1080p is available at 60 frames per second, 720p video can be saved at 120 frames per second, and lower resolution WGVA video can be captured at a massive 240 frames per second. There are also advanced capture features such as GoPro's "SuperView," which offers an ultra-wide angle perspective, "Auto Low Light," which offers better quality in poor lighting conditions, and "Protune," which delivers cinema-caliber video recorded at a movie-like 24 frames per second. And that's just video. Photos can be saved at up to 12-megapixel resolution, offering a burst photo mode with up to 30 photos in one second, as well as continuous photos offering 10 photos per second for up to 30 seconds. There's also a time lapse mode with pictures captured at intervals ranging from a half-second to 60 seconds. If this laundry-list of features doesn't get the point across, the GoPro is an impressive camera. But what's made it the industry leader in a crowded —and growing —action camera market is arguably its ecosystem of mounts, clamps, cases and other accessories that make GoPro arguably the most versatile consumer-grade camera available. A GoPro is a camera that you'll feel confident putting just about anywhere, and as a result it gives users the ability to capture some of the most amazing footage they've ever taken. But with Wi-Fi built in to the GoPro Hero3+ Black Edition, and the official GoPro application for iOS recently updated with new features, we wanted our review to focus on how well the iPhone and GoPro play together. 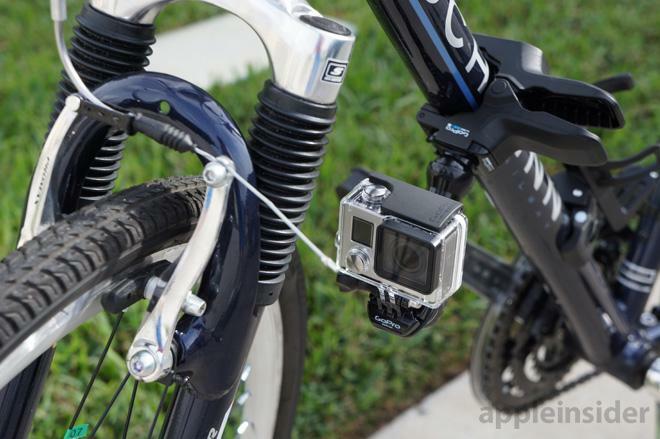 The official GoPro app for iOS is a free download compatible with both iPhone and iOS. It was updated in October alongside the release of the new Hero3+ cameras to add compatibility and access to new features and functions. When the app first launched in 2012, it offered connectivity with the GoPro Hero 2 model when matched up with the Wi-Fi BacPac accessory. Thankfully, starting with the company's 2012 camera lineup and carrying over to this year, the top-of-the-line Black Edition comes with built-in Wi-Fi support, meaning there's no need for any extra bulk to utilize the app. Version 2.2 has been greatly improved over its predecessors, giving video preview capabilities in what GoPro refers to as "near real-time." The live video stream is now four times faster when connected to an iPhone 5 or newer. 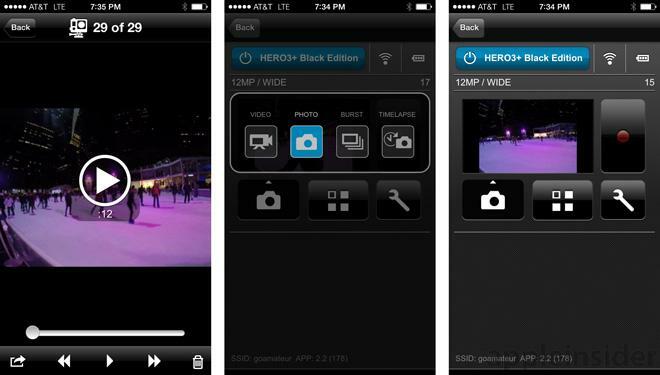 The latest app also gives users the ability to control Hero3+ Black Edition exclusive features, including SuperView, Auto Low Light, and 2.7K medium field-of-view video. 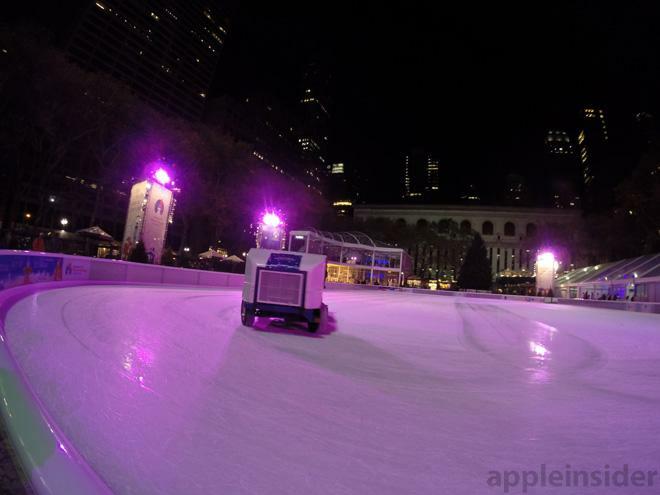 As before, users can still use the app to also view photos and play back compatible videos, as well as copy those files over to the connected iOS device. 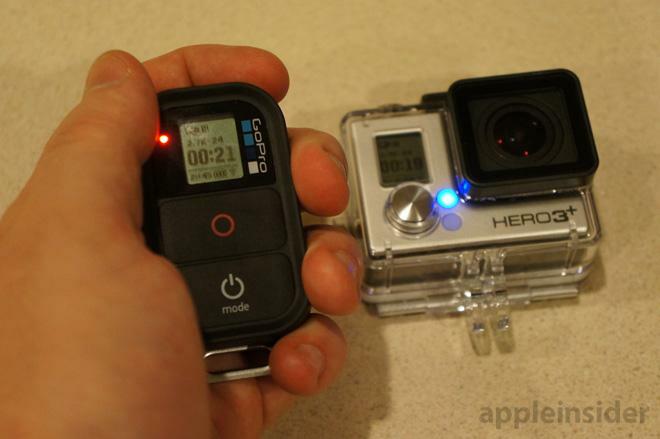 Users can also manage their GoPro's inserted memory card easily, deleting files on the camera to free up space. 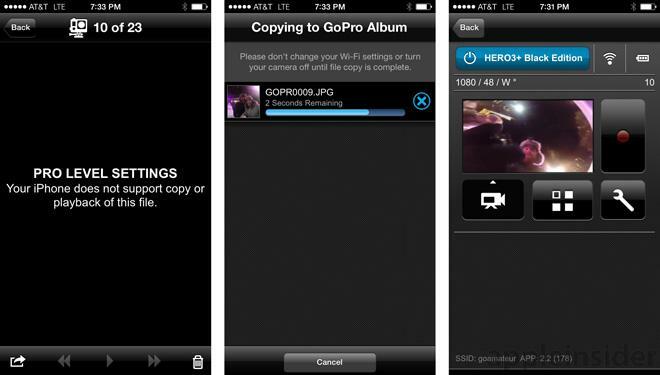 To connect to the GoPro, users must find its Wi-Fi Direct network and connect via the iOS Settings application. 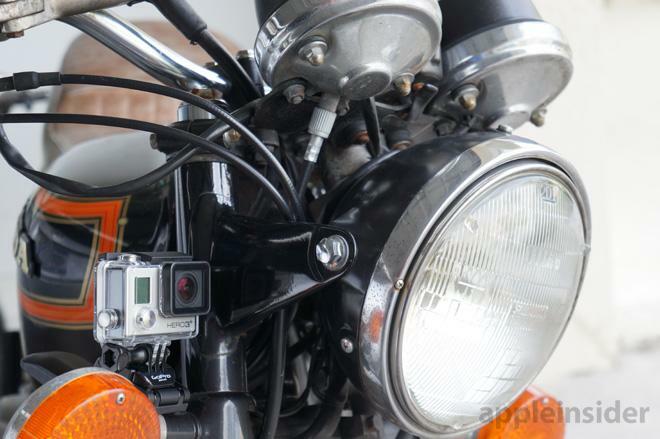 Upon launching the GoPro app, users will be asked to rename their camera's network and change the password. This requires a second connection through Settings, this time with the new network name and password. Once that's set up, you're good to go. 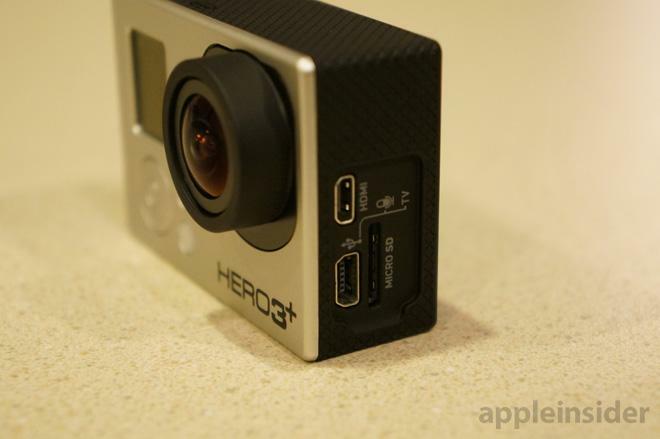 The official iOS app is what truly what makes the GoPro Hero3+ Black Edition with built-in Wi-Fi Direct connectivity a particularly interesting device for iPhone and iPad users. But how well does it work? With Wi-Fi Direct enabled, users can launch the official GoPro app to access a variety of convenient features and functions. Some of this functionality is also available with an included remote control. The bulky-but-durable accessory remains small enough to fit on a keychain. We can imagine plenty of situations where either the dedicated remote control or the iPhone app— or even the GoPro app for iPad —would be the ideal solution for a GoPro user. 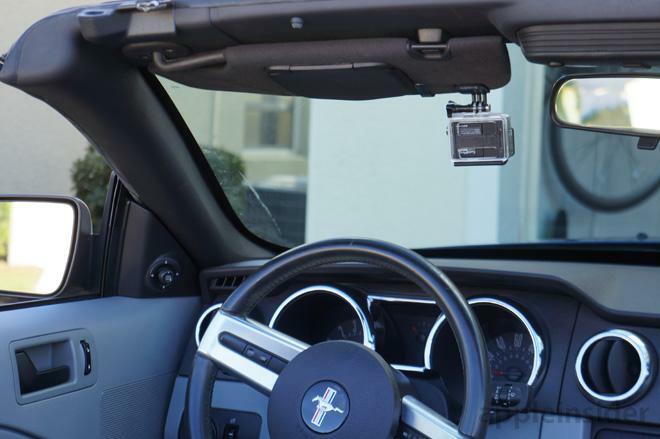 Like with the plethora of mounts, straps, cases and attachments for the GoPro camera itself, having options in how to activate the camera is a good thing. Wireless control and adjusting settings via the official GoPro iPhone application are frankly much more intuitive and convenient. But obviously pulling out your expensive $600-plus iPhone may not be the most convenient or advisable way to control a sports camera, so the dedicated remote control is a welcome inclusion. One thing the remote control cannot do, however, is act as a live viewfinder. And without the inclusion of a built-in LCD display (a touchscreen accessory attachment is available), this is a very valuable feature of the GoPro app for iPhone. Part of what makes the GoPro such a success is its use of a fish-eye lens, which does a spectacular job of capturing the world around it. This makes it particularly difficult to have the camera at a "bad" angle when capturing footage. Still, sometimes you may not realize that you're capturing too much of the ground, sky, your head, or something else entirely that doesn't make for particularly interesting footage. With the GoPro app for iPhone, you can check and make sure your GoPro Hero3+ is positioned perfectly to capture what you want it to before you get moving. 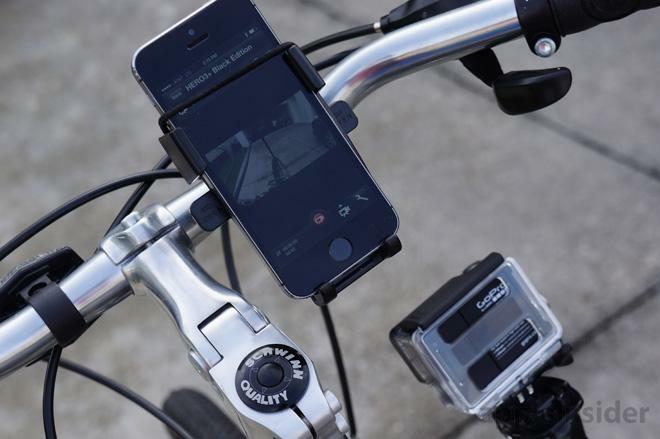 In one test, we had both our iPhone 5s and GoPro mounted separately to a bike. The GoPro was placed in an inconvenient location, so enabling recording via the iPhone was preferable. We were also able to use the viewfinder feature to make sure the camera was placed at an angle we preferred. 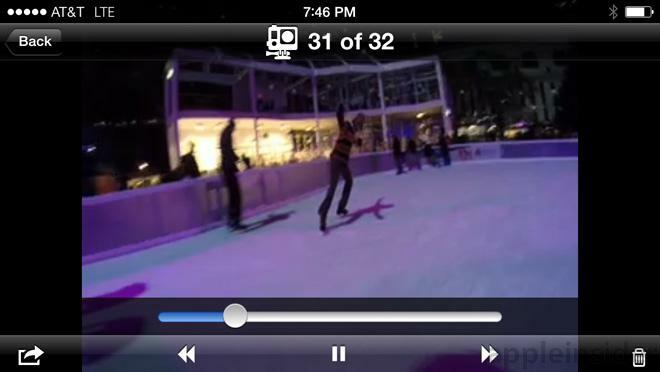 The viewfinder mode does have a bit of lag when showing live footage. However, we don't view this as a concern, as users are unlikely to be looking at their phone or camera while skiing, skydiving, biking or any other activity the GoPro is meant for. The greatest limitations with the official GoPro iOS application are related to Apple's iOS itself. 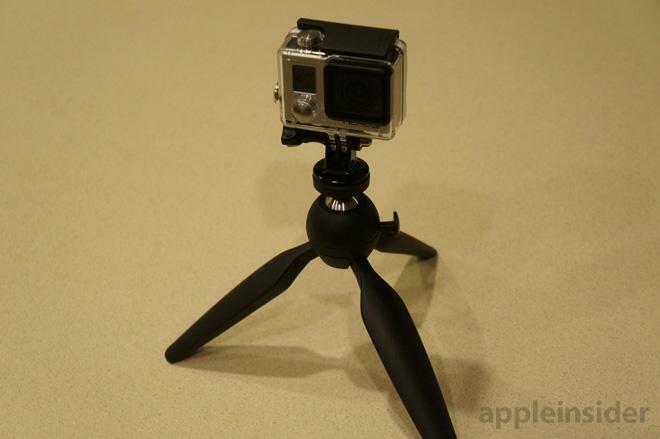 An iPhone or iPad simply cannot play back certain videos recorded on the GoPro, depending on the setting. So your 48-frame-per-second ski footage may look sharp when you transfer it to your Mac, but you won't be able to preview it on the go. Managing files on the GoPro is also a breeze, and we found that pictures and video transferred quickly to our iPhone 5s with little wait time. Once the GoPro was configured and in range, we didn't experience any major issues with dropped connections. If you make sure to record footage in an iOS-friendly format, the possibilities with the GoPro Hero3+ are nearly limitless. 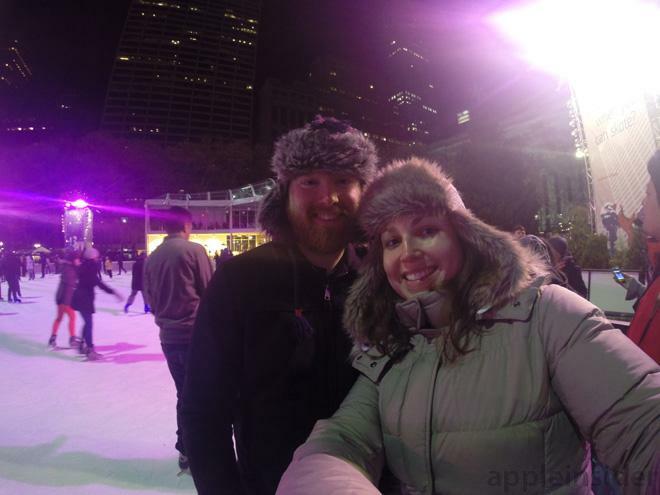 Apple's iPhoto and iMovie are great on-the-go tools for making quick edits on either iPhone or iPad. That means there's no need to use a dedicated SD card or USB adapter to transfer files. And, of course, there's still the ability to transfer the video files to a Mac, offering more robust editing capabilities and vastly expanded file support. 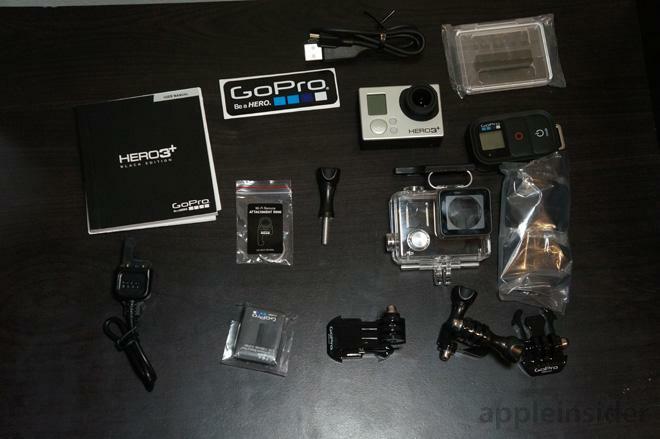 The GoPro is all about options, and it continues to deliver in spades. 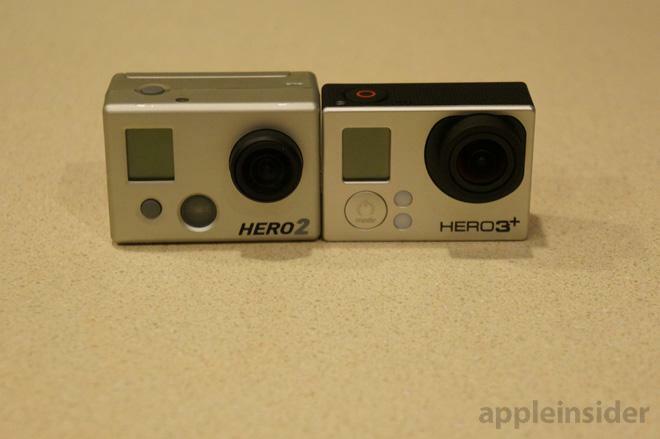 Having regularly used a GoPro Hero2, it's hard to imagine going back after testing the Hero3+ Black Edition. It packs wireless connectivity and vastly improved picture quality into a much smaller and lighter frame. This is a superior product in every way. 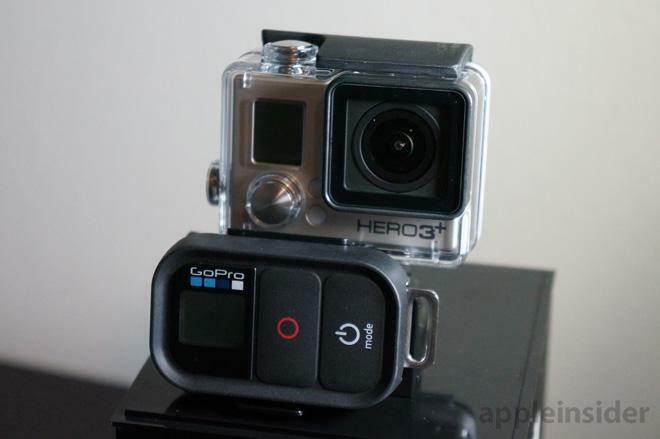 If you're new to GoPro and are considering a purchase, the Hero3+ Black Edition is an easy recommendation. Those who have an older model like a first-generation Hero or Hero2 will also be greatly pleased with the upgrade and should find it worthy. It's a harder sell for any who own last year's Hero3, as the slight improvements to picture quality are likely not enough to justify a $400 camera. Perhaps the bigger question is whether someone who already owns an iPhone should consider spending another $400 on a separate, dedicated camera. After all, point-and-shoots are rapidly being replaced by smartphone cameras in the consumer space. But the GoPro is a different beast entirely, a well-built device capable of being taken deep below the ocean or far into the sky —dangerous places where users will still have little worry that their expensive camera will survive the trip. 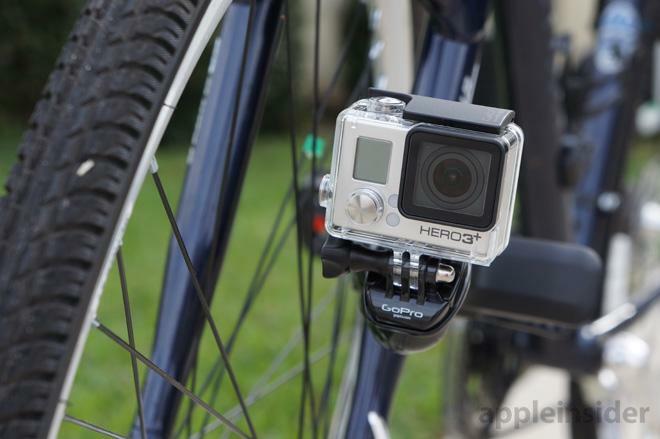 Accessories, mounts and attachments for the GoPro lineup are abundant. iOS file format support is limited, but that's a problem Apple must fix. 4K video maxes out at 15 frames per second. Still, it's 4K video.